BOSTON, MA and SALT LAKE CITY, UT--(Marketwired - Jun 11, 2013) - Partners HealthCare, founded by Brigham and Women's Hospital and Massachusetts General Hospital, and Health Catalyst, the leader in healthcare data warehousing, announced today that Partners HealthCare will implement the Health Catalyst Late-Binding™ Data Warehouse across its two academic medical centers as well as its community and specialty hospitals. Health Catalyst's healthcare-specific data warehouse platform and analytic accelerators will facilitate data access, discovery, analysis and reporting to help Partners HealthCare deliver care improvements and cost reductions. Additionally, Partners HealthCare will make an investment in Health Catalyst and the two organizations will work on the co-development of new clinical applications. The Health Catalyst Late-Binding Data Warehouse is designed to help health care institutions store massive quantities of clinical data. It speeds the analysis of clinical and financial data to a process that is measured in days and weeks, not months and years. Partners expects the solution will help it reveal actionable information stored inside multiple applications that can help improve clinical outcomes, increase efficiencies and enhance patient satisfaction. "Health Catalyst provides us an agile data warehouse approach, and set of tools, to support advanced analytics delivering strategic value to the Partners HealthCare in months rather than years," said Jim Noga Chief Information Officer at Partners HealthCare. As part of its agreement, Partners HealthCare will become a co-developer of clinical apps for Health Catalyst's data warehouse platform. The agreement enables Partners HealthCare to build new innovations on top of the Health Catalyst open product platform to improve care and drive down costs. For example, an app might be used to identify patients with congestive heart failure and implement a series of interventions designed to keep them healthy and out of the hospital after discharge. "We are excited to be investors in Health Catalyst and working together on several dimensions," said Roger Kitterman, Managing Director of the Partners Innovation Fund. "Leveraging the analysis that went into selecting them as a partner was critical to our decision." 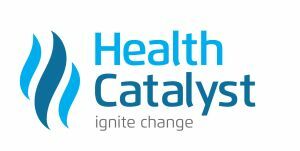 Dan Burton, CEO of Health Catalyst, commented, "We are honored that Partners, nationally renowned for clinical excellence, has selected Health Catalyst as their data warehouse partner. We are also excited to work together to improve healthcare by combining our expertise in data warehousing platforms with Partners' clinical excellence and experience in accountable care. And we believe our new co-development relationship with Partners coupled with their investment in Health Catalyst will enable significant innovation and partnership between the two organizations as we work to achieve our common goal of improving the quality of care while lowering its cost." Partners HealthCare is an integrated health care system, founded by Brigham and Women's Hospital and Massachusetts General Hospital, that offers patients a continuum of coordinated and high-quality care. In addition to its two academic medical centers, the Partners system includes community and specialty hospitals, a managed care organization, a physician network, community health centers, home health and long-term care services, and other health care entities. Partners HealthCare is committed to patient care, research, teaching, and service to the community. Partners is one of the nation's leading biomedical research organizations and is a principal teaching affiliate of Harvard Medical School. Partners HealthCare is a non-profit organization. Further information can be found by visiting www.partners.org. Based in Salt Lake City, Health Catalyst delivers a proven, agile data warehouse platform that actually works in today's transforming healthcare environment. Currently, 81 hospitals caring for 20 million patients utilize Health Catalyst's Late-binding™ Data Warehousing platform and solutions. Founded by healthcare veterans who developed their solution after struggling for years to try to make non-healthcare data warehousing solutions work, the Health Catalyst data warehouse utilizes an adaptive approach designed specifically to address the complex nature of healthcare data. Health Catalyst's proven solutions are deployed at leading health systems including Allina Health, Indiana University Health, MultiCare Health System, North Memorial Health Care, Providence Health & Services, Stanford Hospital and Clinics, and Texas Children's Hospital. Visit www.healthcatalyst.com, and follow us on Twitter.